100 1 %a Winchester, Simon %d (1944- ). 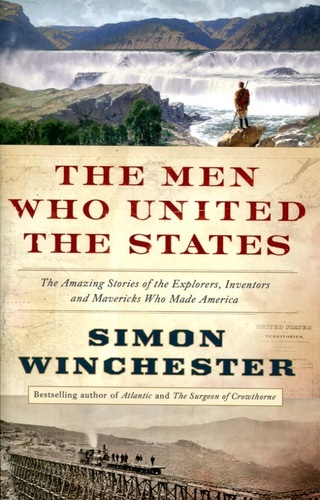 245 1 4 %a The men who united the States : %b the amazing stories of the explorers, inventors and mavericks who made America / %c Simon Winchester. 260 %a London : %b William Collins, %c 2013. 300 %a xxv, 463 s. : %b il. ; %c 24 cm. 500 %a Mapy na wklejkach. 504 %a Bibliogr, s. 441-449. Indeks.